Hello, Friday! We’re ready for this day with another episode of FriChats! Today Marly asks a question. Do you have FOBAL? How can you know if you don’t know what it means? FOBAL is Fear of Being a Leader. And Marly is worried she might have it. So Cara and Marly talk about this and ways to overcome it. 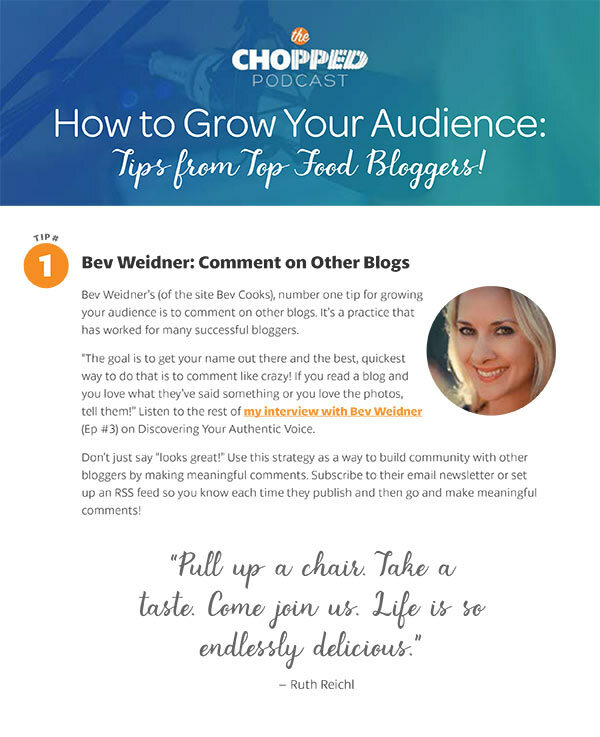 If you love soulful discussions about food blogging, listen to last week’s chat about Growing Confidence. You might also enjoy listening to our discussion on the Summer Lull in Traffic. 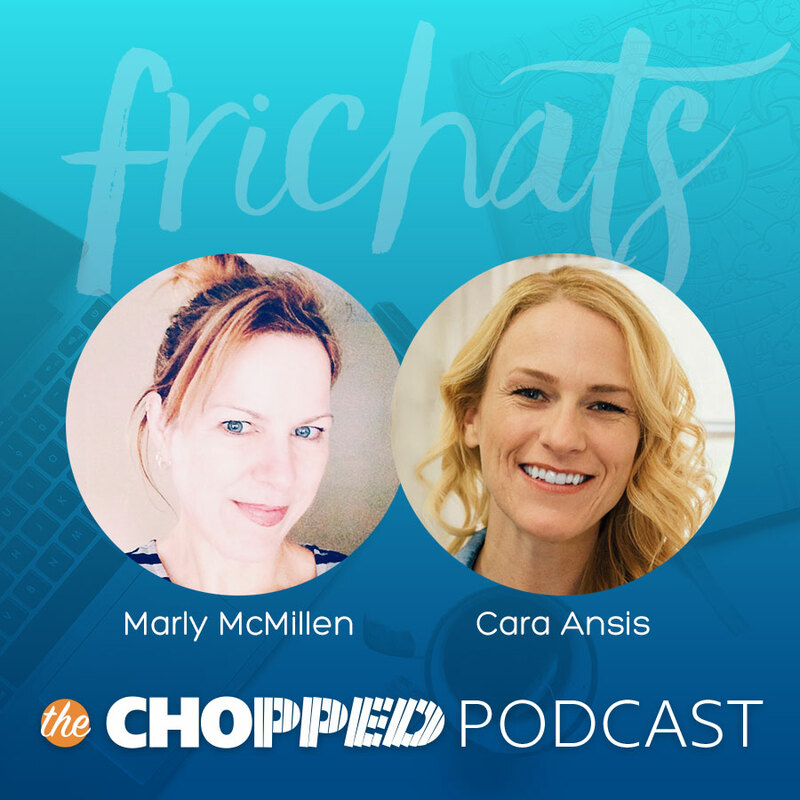 If you haven’t figure it out by now, Cara and Marly love to talk about the spiritual and soulful of blogging. Because there’s so much chatter about analytics and social media. And that’s all well and good, but every now and then, especially on a Friday, it’s fun to chat about the journey of self discovery you’re on as a blogger. The journey we’re all on! Today we’re talking about FOBAL, or as Marly puts it, Fear of Being a Leader. Marly talks about how she’s trying some new things on her site. As a result she finds herself trying to make decisions about things she doesn’t always feel confident about. That’s when “fear of being a leader” pops it’s ugly head. Cara explains how she looks at it: we are divided into two parts — our ego and our spirit. Spirit = all things that are good and true, like love and community, etc. So when you’re confident and living in your Spirit, your Ego gets a little frustrated. The more you live through your Spirit side, the less your Ego is in charge. And as she said above, the Ego loves to be in charge. It can be a constant battle of trying to quiet the Ego so you can move forward. It helps if you can remind yourself this: You can be a leader. You can fail. You can even make a mistake…while still being a leader. Our advice? Don’t be afraid of making mistakes. Actually embracing mistakes becomes part of your decision-making process. Cara takes it one step further and says, the only way to not be afraid of being punched in the face is getting punched in the face. If you’re confused, just hang on a bit. It will all make sense soon. In fact, Cara described how she lived a lot of her life in fear. She was so afraid of being rejected that she didn’t even get in a relationship until her early 20’s. You have to be able to experience your deepest fears to have the confidence that you have the tools to get through this. Marly and Cara talk about the important skills leaders need, like the ability to be honest with yourself. If you get a reaction when you communicate with someone, just step back and try to understand it rather than just reacting to it. What about that time when you wanted something different on your site, but you were too reluctant to talk to your site designer about it? Maybe they did something you didn’t like and yo were worried about hurting their feelings? Cara suggests the same thing: Take a step back. Ask yourself, why are you having a hard time telling someone you hired what you want? It’s FOBAL lifting its ugly head. But you want to know a secret? It’s an irrational fear. Cara continued with this humdinger: Somebody lied to bloggers when they said in order to be a good blogger you have to be an expert in everything. It plays into this notion that we have to be the doer of everything. Marly reminds us that we don’t have to be the expert, we can hire people to be the experts. We don’t have to do it all. When you’re trying to be the expert, you’re trying to be in control. When you’re trying to be in control it usually means the ego is involved. And that’s when the conversation turned back to the true core: It’s all about our motivation. Marly talks about her notion of Strength of Positivity and how tempting it is to throw that about, on others, with an attempt to “fix” them, even if they don’t want it. How about this: rather than trying to fix everyone else, why not focus that attention of fixing what’s broken inside of ourselves? use that Strength of Positivity to lift your own life to where you need to be and be an example for others. You can be a leader that can accept criticism. You can be a ledger that doesn’t have to be the most popular, that can be rejected. Either way, you’re not leading your life dictated by your ego, always thinking to yourself that you’re not enough. The beautiful opportunity that being a blogger gives us is that we can constantly face those irrational fears and learn how to quietly them lead in a very thoughtful and effective way. And it might be different than everyone else and that’s ok.
Trust yourself. Have confidence in your ability to lead. Go ahead and get punched in the face. Be sure come back next Friday when we’ll be talking about more inspiring topics….and so you can get your FriChat on! You know what we think about every day? 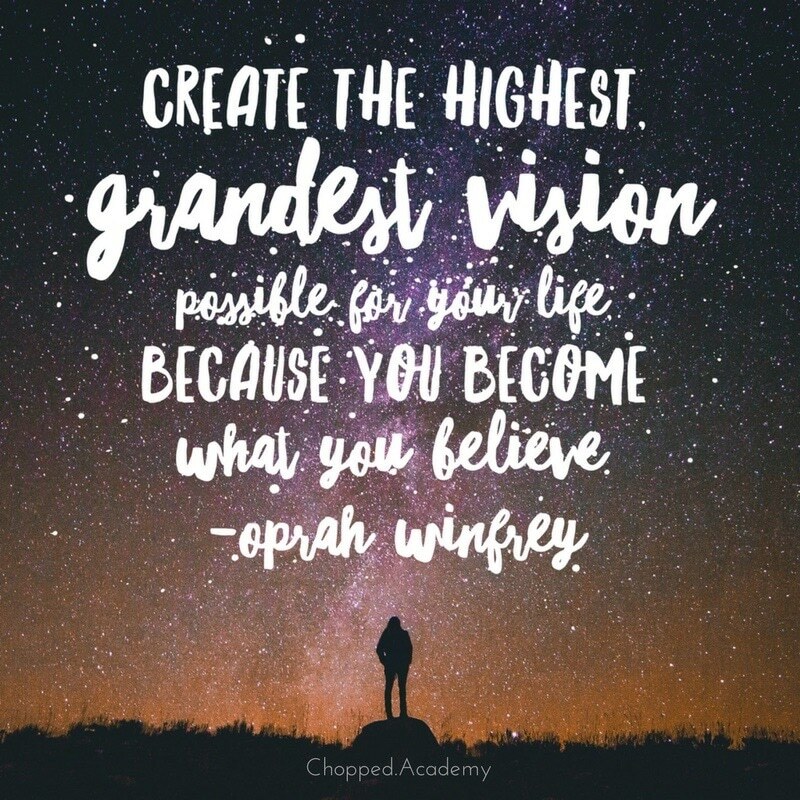 How Chopped Academy can provide you resources and inspiration to help you with the work you’re doing every day! We hope today’s episode on Fear of Being a Leader is a part of that process.